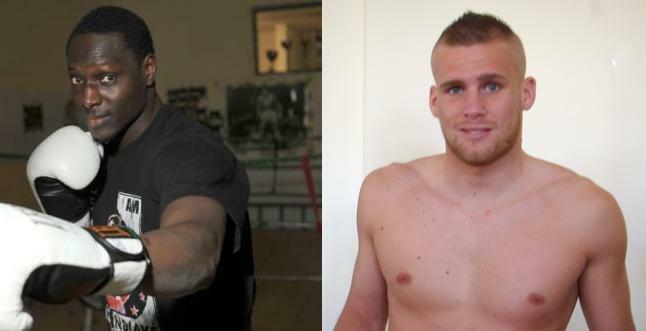 Italian supermiddle Mouhamed Ali Ndiaye, 22-1, was left without a fight when George Groves, 17-0, decided to leave Frank Warren for Matchroom, Ndiaye vs Groves was set for March 16 in London on a now postponed show and was for the vacant EBU title. Ndiyae will now however fight Frenchman Christopher Rebrasse, 20-2-2, and the current EU champ, with date and site to be announced by promoter OPI 2000. P 3 Boxing show in Finland staged a successful show in Espoo this past weekend and lightweight Edis Tatli won the WBA I/C title with convincing victory over dangerous puncher Felix Lora. On the undercard Niko Jokinen, 20-0, beat Guzman Castillo and is now down to middleweight after previously campaigning at 168. Next up is a show in Tampere April 20 headlined by cruiser Juho Haapoja and welter Jussi Koivula. P 3 Boxing´s heavyweight Jarno Rosberg was not on the bill and will be sparring with Wladimir Klitschko as he prepares for the defence of his titles against Francisco Pianeta. French website netboxe.com writes that national middle champ Karim Achour will be the opponent for former WBO interim and EBU jr middle titlist Lukas Konecny, 48-4, on the undercard to Abraham vs Stieglitz March 23 in Magdeburg. Archour vs Konecny will be for the vacant WBO Euro title. The fight marks Konecny´s debut at middleweight. Kühne retained the WBO, WIBF and WBFed female 130 lb titles on scores of 100-90 twice and 99-91. Bösel won the vacant WBO Youth lightheavy title on scores of 100-90 twice and 99-91. SES` Florida find Bredicean turns pro with a 40-36 win on all cards against Fecko. Schröder won the vacant GBA version of the German title on scores of 95-92 and 97-92 with a third vote to Zemski at 95-92. 60-44 on all cards - yes 44. Sanchez was down twice in the second but came back to rock Roche in the fifth forcing a controversial stoppage and retained the national title.